Is the Mueller investigation into Trump real or is it just nibbling around the edges of the real issue? The subject matter of these questions should be considered in light of Trump’s association with Michael Cohen, Trump’s long time “fixer”, and the recent FBI raid on Cohen’s office. That raid was not carried out by Mueller’s team, but clearly it is related to the Mueller investigation. Again, the NY Times revealed who Cohen is. He seems to have been involved in all sorts of scams, including insurance fraud. 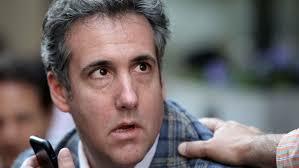 But the aspect of Cohen that is most relevant to Trump is Cohen’s real estate wheeling and dealing. The Times explains: “His companies would buy a building, often in cash. Soon after, they would flip the building in another all-cash deal for four or five times the previous purchase price. The buyer was generally another limited liability company. “In October 2011, for example, a limited liability company listing as its address Mr. Cohen’s apartment at Trump Park Avenue purchased a building on Rivington Street on Manhattan’s Lower East Side for $2.1 million. In 2014, Mr. Cohen sold the building for $10 million in cash — nearly five times what he paid three years earlier. These are the buildings Cohen sold for $32 million cash all on the same day. The same article revealed Cohen’s long and close association with Ukrainian businessmen. Similar to the restoration of capitalism in Russia, the capitalist restoration in Ukraine involved the rise of all sorts of corruption and mafia capitalists. And, similar to the Russian mafia capitalists, the Ukraine counterparts would have wanted to get their money into dollars, which must involve money laundering. As this blog site has reported (See this article and this one) Trump has been a money launderer for the Russian mafia for years. So was his former associate, Paul Manafort. So, the real questions for Trump’s criminality (at least regarding purely capitalist standards) would be ones that revolve around his business associates, for whom he purchased real estate, why so many deals were on a cash only basis, why it is that so many Russian mafia types own condo apartments in his New York Trump Tower, his relations with such types as convicted swindler Felix Sater or his former personal helicopter pilot and convicted drug runner Joseph Weichselbaum. Why isn’t Mueller asking such questions? First because the scandal would be too explosive. Even President Trump has to command some respect from the US public. The fact that he’s nothing but a two-bit scam artist would be too shocking for US capitalism. But even more a problem is the fact that the entire real estate industry is rampant with this same sort of money laundering. And it is the real estate industry that dominates local politics in many major US cities. That includes cities run by Democrats, including the liberal wing of the Democrats. In other words, if Trump’s role as a money launderer were to be revealed, it would tend to open up the money laundering role of this major industry as a whole and would tend to reveal how the backers of many major local politicians are also involved. So, Mueller must just nibble around the edges.